Happy Easter! The Write Romantics hope you’re having a lovely, relaxing long bank holiday weekend and, if you’re working, we hope you do have some time off. We’re delighted to welcome Liz Harris as our guest on today’s Saturday Spotlight. 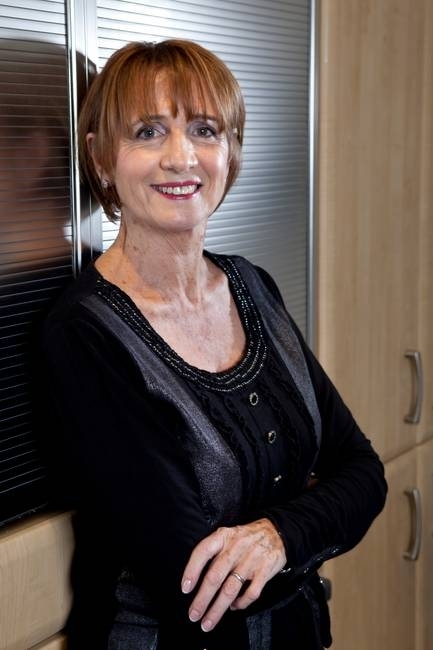 Liz is a member of the Romantic Novelists’ Association through which all The Write Romantics met virtually. 2012 was her big year when she saw publication of both her first novel and a novella and she’s joined us today to specifically talk about novellas. As someone who tends to write a lot of words, I’m toying with a novella myself as I feel it will be good learning to really focus and limit my word-count. One of my fellow Write Romantics is currently writing her first novella and a few others have shown interest so we’re all extremely interested in Liz’s tips. “So what exactly is a novella?” I hear you ask. Well, I’ll leave that question in Liz’s capable hands…. With A Western Heart, set in Wyoming 1880, my second novella for Choc Lit Lite, soon to be published, I thought I’d say something about the differences between writing a novella and writing a full length novel. Getting to grips with novellas is well worth doing as they’re increasingly a big thing in the digital world. The more material out, the better, is the mantra today – and ‘the better’ means more money. Novellas lend themselves to fast writing and to books that form part of a series, and that leads to healthy sales. Not surprisingly therefore, both self-published and traditionally published authors are now slipping novellas out between their full length novels, or may even be focusing solely on the novella market. 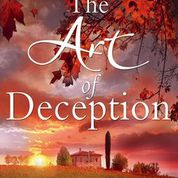 At 50,000 words, my first novella, The Art of Deception, was at the top of the word count for a novella, which ranges from 20,000 to 50,000 words (50 to 100 printed pages). But 50,000 words is the same length as some Mills & Boon novels, so it didn’t feel like a novella to me. Because of that, when I decided to write A Western Heart, and was going to aim for around 30,000 words, I thought I’d begin by checking out the differences between writing a novella and a full length novel. The tone of a novella was lighter, and it should be fast-paced. The period detail should be authentic, but there shouldn’t be too much of it. The same is true of descriptive details, be they for character or setting. There should be enough specific detail to make it believable and create a sense of place, but not slow the story. The reader of novellas wants a page-turning, speedy read. There should be a single plot, although it can have – and probably will have – complications. A 30,000 novella is too short for sub-plots. Generally, a single story line keeps aids clarity and pace. Having said that, if you’re aiming for 40- 50,000 words, you may feel that your novella would benefit from a sub-plot; if so, it should be easily resolved. It might even have been the cause of the main conflict. It should never be there, however, merely to help the word count. Point of view. Only show one POV unless there’s a really good reason for having more than one. Too many POVs could bring confusion to a short novel. Have a few clearly and succinctly defined central characters, and a few supporting characters, but not too many of either. You will need to know the same sorts of things about your characters as for a full-length novel, such as their background, character traits and secrets, but there will be fewer characters and they will appear early on in the novella – there is less time to spend on introducing, developing and building up each character. Your minor characters should add interest and move the plot forward, but they shouldn’t detract from putting across your story line. Dialogue, as with a full-length novel, should define the character(s) and forward the story. It shouldn’t meander, unless that’s part of the plot. As with a full length story, you’ll need a conflict, but not too complicated a conflict for there to be a satisfactory resolution. You’re working within a limited word count. I thoroughly enjoyed writing A Western Heart, and will definitely write more novellas in the future. Good luck to everyone who decides to give novellas a go! Finally, many thanks, Write Romantics, for giving me a chance to talk to you. Enjoy the rest of the Easter weekend everyone! This entry was posted in Uncategorized and tagged a western heart, bank holiday weekend, characters, Choc Lit, Choc Lit Lite, conflict, Dialogue, e-book, easter, ebook, happy easter, light tone, liz harris, Mills and Boon, novella, point of view, RNA, Romantic Novelists' Association, saturday spotlight, self publishing, single plot, the art of deception, the write romantics, traditional publishing, writers, writing a novella, wyoming. Bookmark the permalink. As a reader, I actually prefer at least 300 pages. I love getting lost in the story. I will read short stories around 40 pages max when I need something quick with less investment. I read novellas honestly, because they tend to be about a character in a much longer series. I feel like I’m missing something if I don’t read the much shorter story. I do like a collection of Novellas revolving around several related characters. When I read the entire collection I don’t feel deprived. As a writer, I struggle with writing less. It is something I plan on challenging myself with later in the year. So, I sincerely appreciate your thoughts and tips. I’ve made notes for future reference! Hi winterbayne (lovely name), thanks for stopping by and sharing your thoughts. I completely understand where you’re coming from with going for at least 300 pages as I tend to take the same approach myself. I’ve never, ever considered picking up a novella but I like the idea behind them having read Liz’s article. Do come and visit and let us know how you get on if you do give writing (or reading) one a go. We wish you all the best with your continued writing. Thank you so much for coming over to the blog as a guest! In this time-pushed world of ours it seems that novellas are becoming increasingly popular so thank you for all the advice on how to write one. I look forward to your publication day for “A Western Heart”. Brilliant post and very interesting, I think novella’s are becoming increasingly popular so it’s a fascinating insight. Good luck with ‘A Western Heart’. Thanks Liz for such an interesting post, and for summing up the requirements of a novella so succinctly. You make it sound almost easy. Don’t worry, I know it’s not! Lovely to have you as our guest. Very good summing up, Liz. Novellas are becoming so much more popular these days. Someone who read my recent novella ‘What Happens in Nashville’ said she loved the shorter length as her attention span makes reading a full length novel challenging. I’ve heard that from other readers, too, Angela. When I was looking into the differences between novellas and full-length novels, and reading so many of them to find the answer, I found myself enjoying the fact they didn’t take too long to read. With limited reading time, it was great to have a novel I could get through without devoting too many weeks to it. Many thanks for your comments, spabbygirl (love it! ), Helen and Helen. I very much enjoyed writing this post, which I did before I went to a seminar at the London Book Fair, which gave the Top 10 Tips of two best-selling American indie authors. I thought that what the authors said was so interesting that I posted the notes I’d made on my blog today. Novellas would fit very comfortably into the branding those two authors talked about, which is relevant for those traditionally published or self-published, or for those writers still considering ways in which to become published. Thank you for giving me the chance to talk to you, The Write Romantics, and for the super font and colour of the heading. It’s brilliant! You’re very welcome Liz. It’s been great having you as a guest and we really value the insights you’ve been able to bring. Thanks for the compliments about our font. I adore the colour myself even though purple is my favourite! Great post Liz. I am the Write Romantic currently writing a Christmas novella, although I do have both the hero and heroine’s pov in there, so I am slightly worried now! It’s early days though, so great to know so that I can sort it out. Thanks so much for sharing your wisdom and good luck with ‘A Western Heart’. I’m sure that having both hero and heroine’s POV in a novella could work extremely well, April. Both POVs would contribute to the central story line, enhancing it by neatly showing a different facet of the story, or adding a layer of depth. Good luck with it!